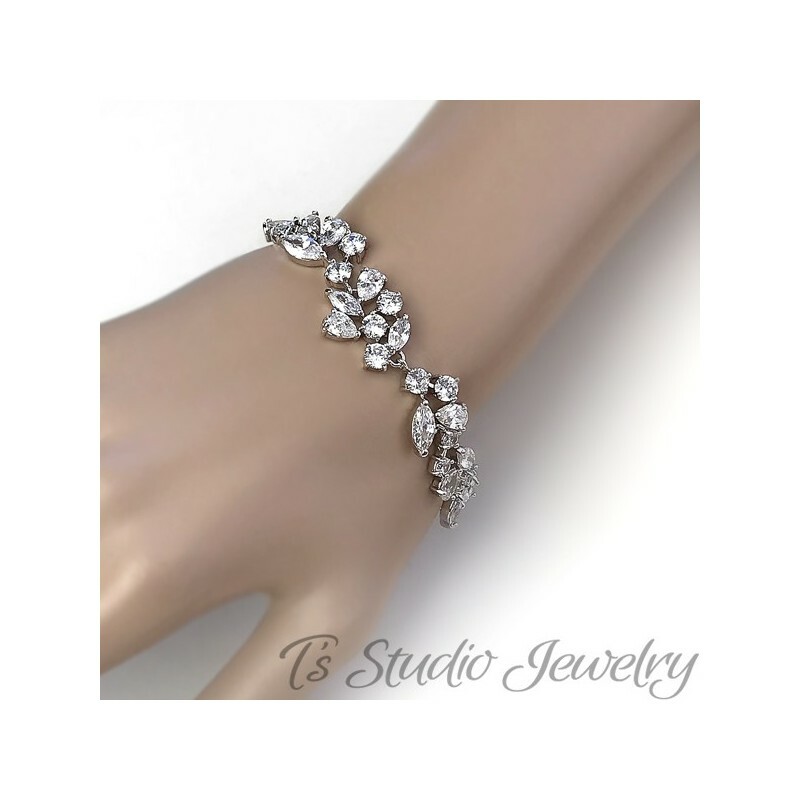 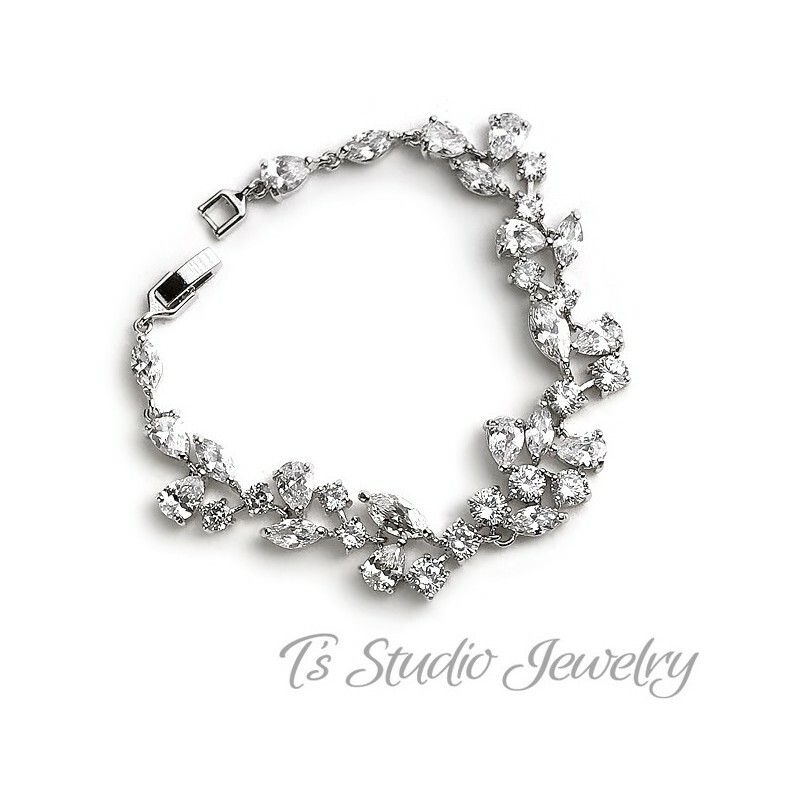 This beautiful silver plated cubic zirconia bracelet lends a sense of elegance to your classic, vintage-inspired, or modern wedding. 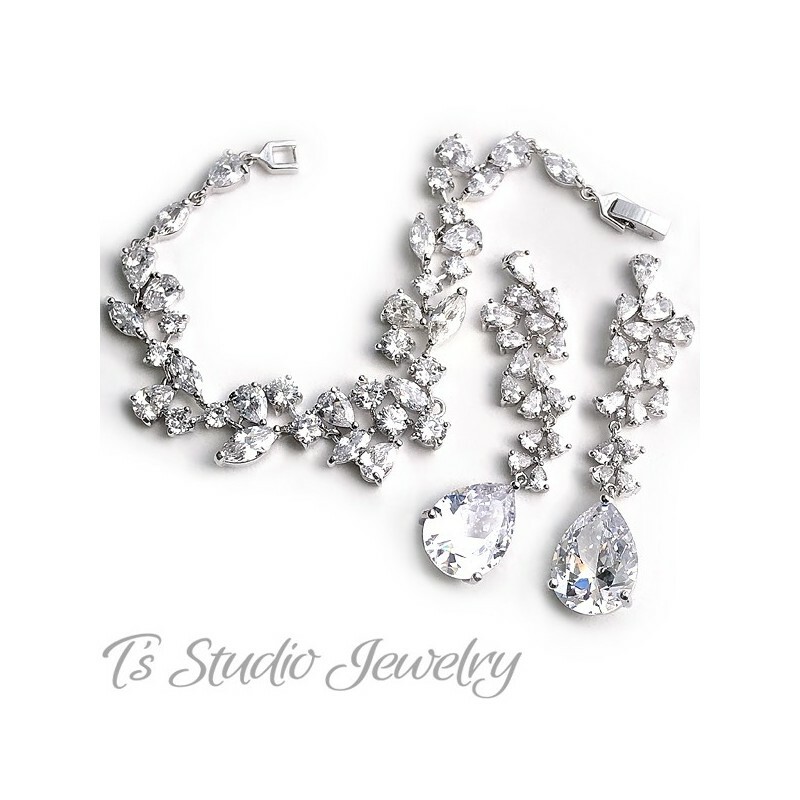 It is made with sparkling cubic zirconia crystals in a variety of shapes and sizes. 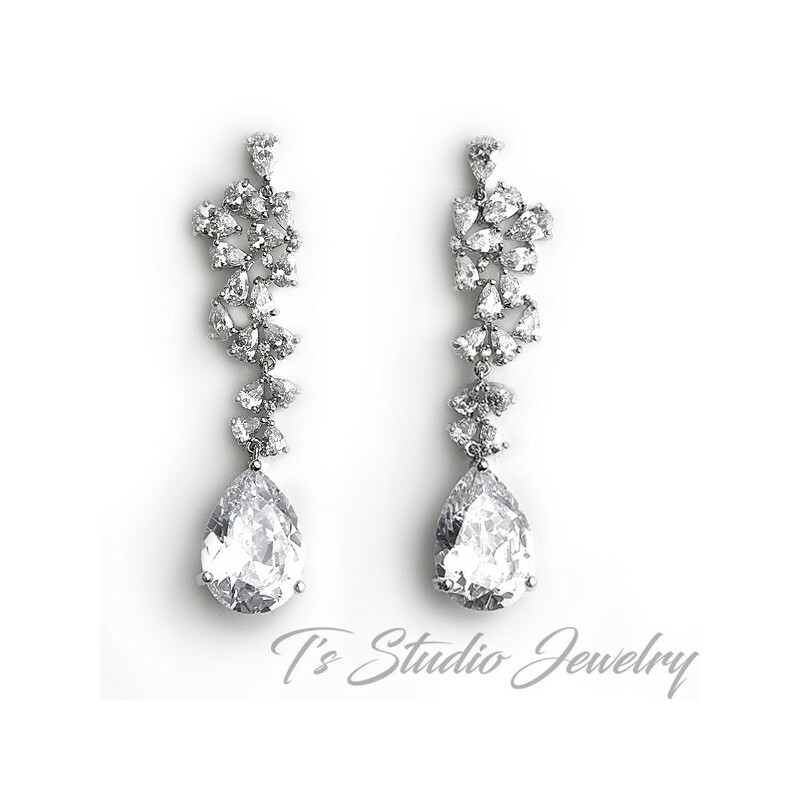 The matching earrings have a large pear shaped CZ crystal drop.